This video shows why to create an OFG and how it was done. What’s the problem? Urban runoff is the #1 source of ocean pollution. In Ventura, storm drains and farm runoff funnel into the ocean un-treated, polluting our water with motor oil, synthetic fertilizer, and other contaminants during heavy rain. Click here for more info about the causes of pollution. 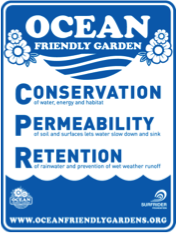 C – Conservation – Conserve water, energy and wildlife habitat by using native and climate appropriate plants, and nutrients with properly spaced native & climate appropriate plants. P – Permeability – Allow air and water to percolate downwards. 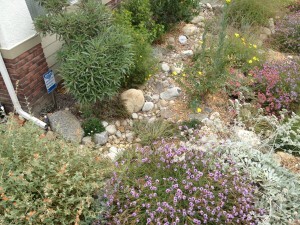 Healthy soil, mulch, and limited hardscape sponge up water. 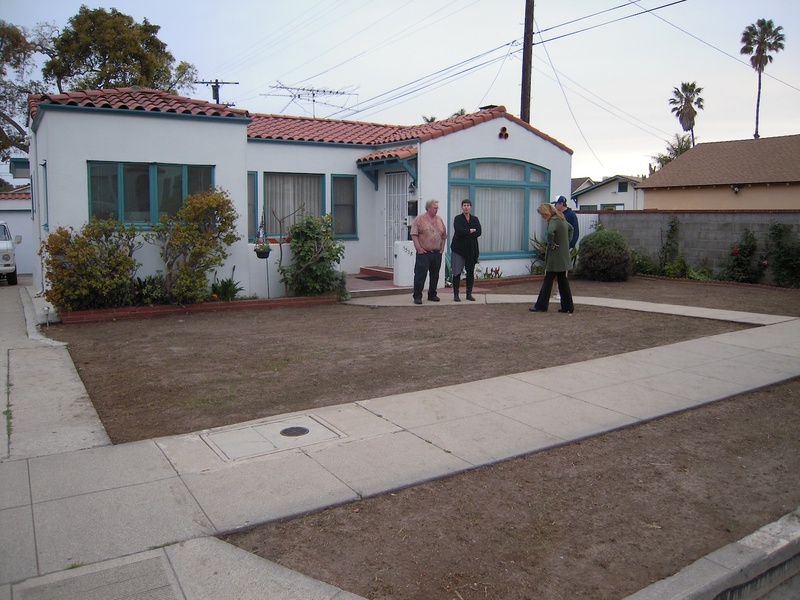 R – Retention – Retain water in the ground, not in the streets. 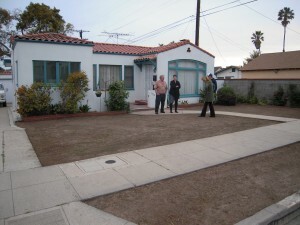 Direct rain gutters into low areas in the yard & create curb cuts to capture street flow. Do it yourself – here’s a great design guide created by G3/Green Gardens Group. Materials – coming soon. Contact your city for sources of materials like mulch. 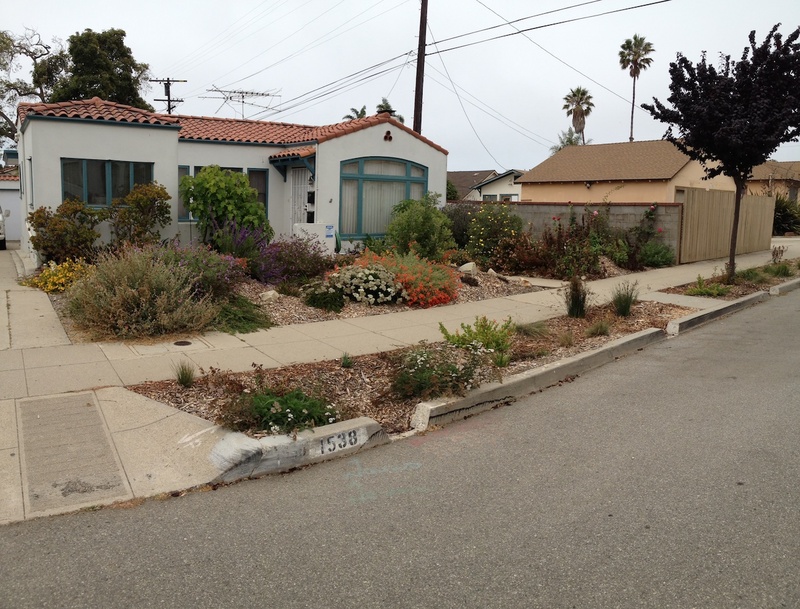 In Ventura, you can get it for free at Cornucopia Community Garden. Map of gardens – Check out the map of OFGs here The map reports include plant lists, designs and more. List of Professionals – if you can’t do it yourself, hire a pro! Those on the list have passed G3/Green Gardens Group’s Core Concepts Workshop exam, which qualifies you to be a watershed evaluator following the OFG criteria.